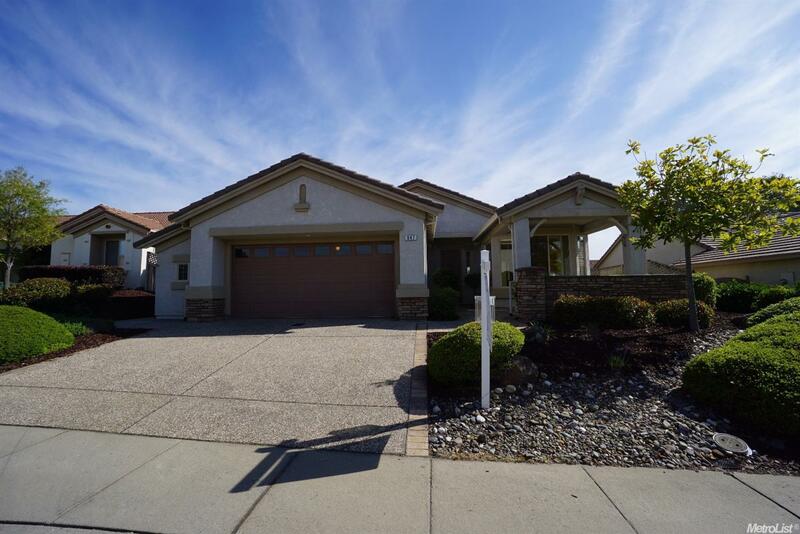 This Almanor Model has a fully covered front patio with privacy pony wall. Kitchen has a skylight & upgraded maple cabinets with a corner cabinet in the Bay window Bfast nook for extra storage. Lvng rm has a raised fireplace. Mstr bath has a twin vanity & tiled shwr with sliding glass doors. Guest Bath has a skylight. Garage is 2.5 with ample room for golf cart & workshop - also has sink & a sliding window. Home has low maintenance landscaping & is close to Orchard Creek Lodge & all amenities.